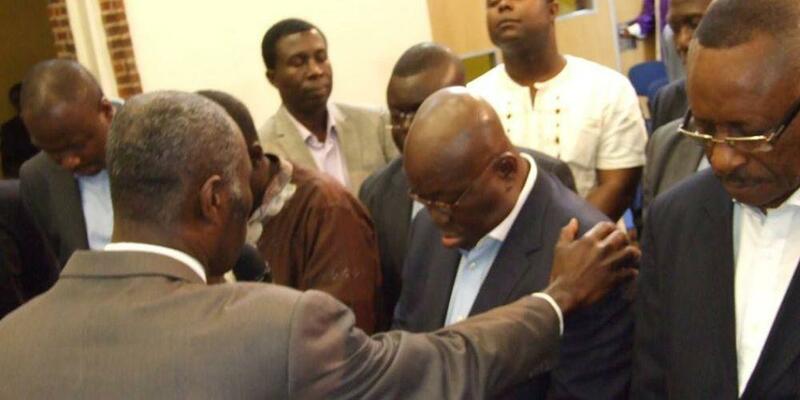 President Nana Akufo-Addo has called on Ghanaians especially the clergy to continually pray for him as he undertakes the arduous task of governing the country for the next four years. According to him, he’ll need strength from God, wisdom, courage and a good heart to be a good leader for Ghana, under whose tenure Ghanaians will see tremendous improvement in their lives. 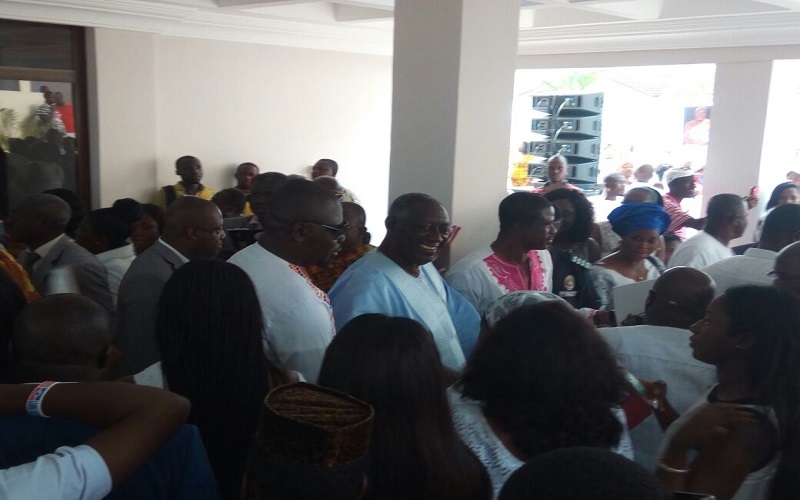 President Nana Akufo-Addo was speaking at an Interdenominational Thanksgiving service organized by the Akyem Abuakwa Traditional Council for him at the forecourt of Okyehene’s palace at Kibi on Sunday. He further called for prayers for God’s direction for his vice, Alhaji Dr. Mahamadu Bawumia who’ll assist him govern the country. Present at the event included his Vice, Dr. Bawumia, the first lady and Second lady, former President Kuffuor, Speaker of Parliament, most majority Members of Parliament, foreign diplomats and dignitaries. Also in attendance is the clergy among them are most Rev. Asante Antwi past President of Methodist and Dr. Opoku Onyinah, top gospel musicians, traditional rulers in Akyem Abuakwa led by Okyehene Osagyefo Amoatia. 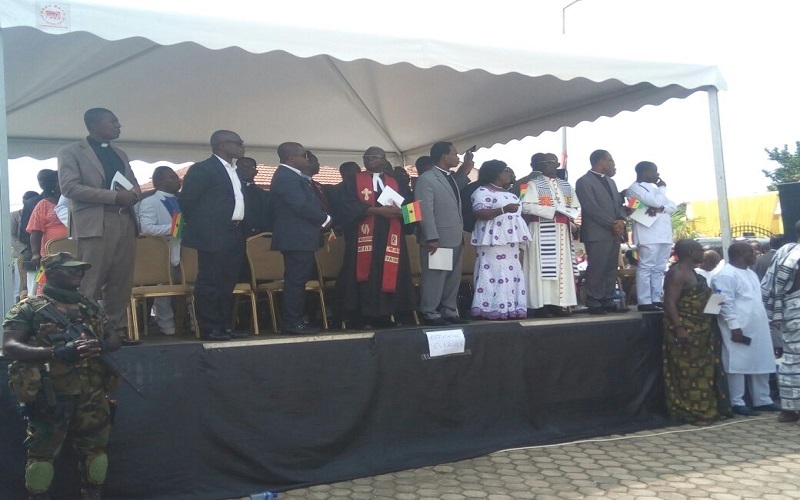 In a sermon delivered by the National Chairman of the Church of Pentecost, Apostle Dr. Opoku Onyinah on the theme: Covetousness, he called on politicians to refrain from greediness, extreme love for money and properties when in power since it is the cause of high level of corruption in the country. He said such traits lead to corruption, which inflict hardship on the citizenry and affects nation growth. Apostle Opoku Onyinah advised the President to appoint only selfless, God fearing, truthful, wise and hardworking persons to his government.